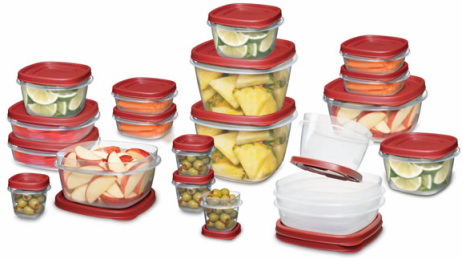 Rubbermaid 42-Piece Storage Set Just $14.99! You are here: Home / Great Deals / Amazon Deals / Rubbermaid 42-Piece Storage Set Just $14.99! The notorious left-over Thanksgiving Holiday is just around the corner! Hurry and grab this incredible Rubbermaid 42-Piece Storage Set on Amazon for just $14.99!